An exotic plant is one that was not native to our region when the settlers arrived. 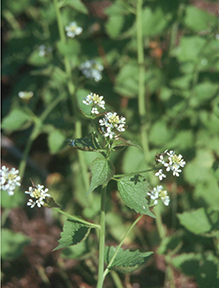 Invasive plants are exotics that spread quickly and are creating harm to the environment. If left unmanaged, invasives can overtake the native population and destroy it. In the US alone invasive species do over $35 billion dollars of damage annually. Invasive plants decrease the recreational value, property value and diversity level of both plants and animals.